Combining big data analytics, medical research and unique information to deliver a personalized care plan that transforms patient outcomes. uMETHOD’s mission is to provide hope to those who may have lost faith in finding solutions for complex, chronic diseases. They employ next-generation data analyses, coined as the “RestoreU METHOD,” to identify underlying causes, develop evidence-based personalized care plans and transform lives. uMETHOD’s approach to age-related cognitive decline, dementia and Alzheimer’s disease (amongst others) is founded on a deep understanding of the molecular biology of the brain and the supported bodily systems. By combining medical expertise with technology, they’re able to uncover illness causes and guide physicians towards the best treatment for their patients. As a recently established pioneer in the field of medical technology, uMETHOD faced the challenge of visibility. Their unique service of utilizing data and precision medicine to customize treatment paths needed compelling messaging within a comprehensive digital platform. The challenge was to develop a website that not only brought awareness to the uMETHOD approach and brand, but also resonated with their audience through thoughtful messaging and relevant visuals. 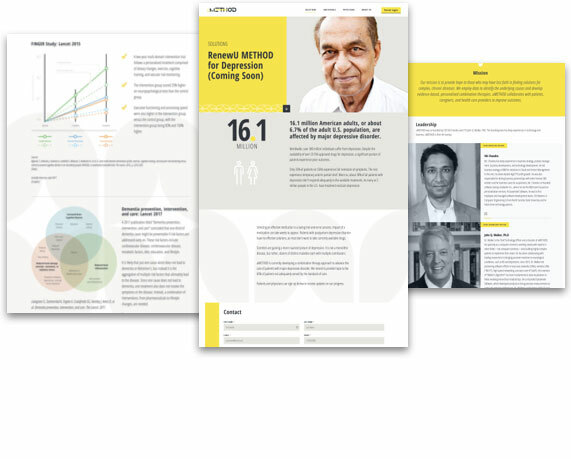 In our preliminary research, we understood the importance of crafting the messaging and website design for two main audiences: prospective physicians who are interested in partnering with uMETHOD, as well as individuals suffering from chronic diseases or their caregivers. 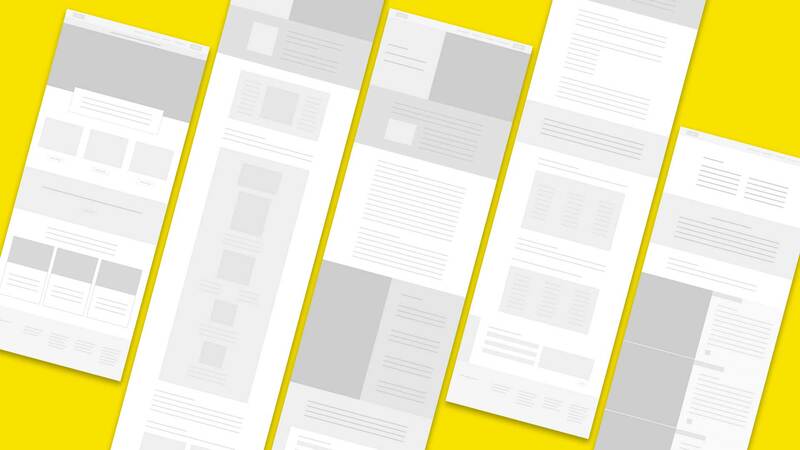 Clean content navigation was a significant focus in our information architecture development for uMETHOD. It was imperative that audiences easily understood and navigated their respective benefits from uMETHOD offerings. To keep pertinent information easily accessible, we elevated physicians and individuals as two main navigation links. These two main pages displayed organized sections of information regarding the RestoreU METHOD’s relevancy to the respective page’s audience. Simplicity was key in appealing to uMETHOD’s audiences and differentiating the company from complex, overly-detailed competitors. As the spectrum of medicine can be broad and confusing, we designed the site to be easily navigable with clear paths to the information that applies to each user. By consolidating pages and organizing all information in a concise manner, we sought to give users a more direct and hassle-free experience. Keeping uMETHOD up-to-date required the refreshing of prior visual elements in terms of digital presentation and overall consistency. 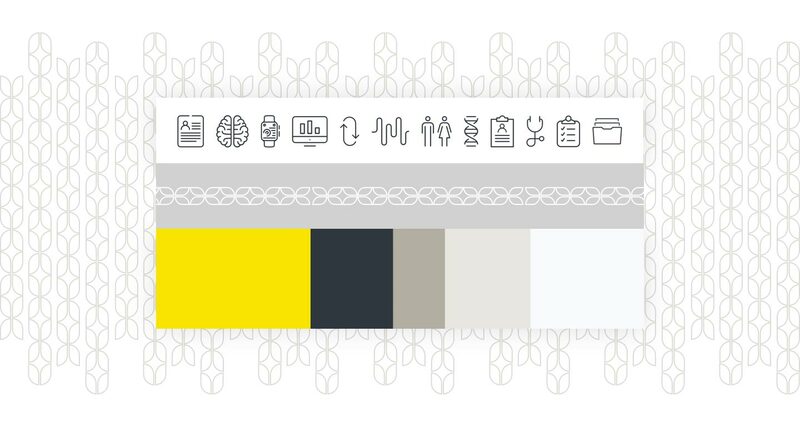 We created carefully designed charts and infographics, patterns, and image libraries to enhance the brand and assist in messaging. A bright, modern website design was developed to be fully-responsive and optimized, with the ability for uMETHOD to build future content as the company grows and expands. 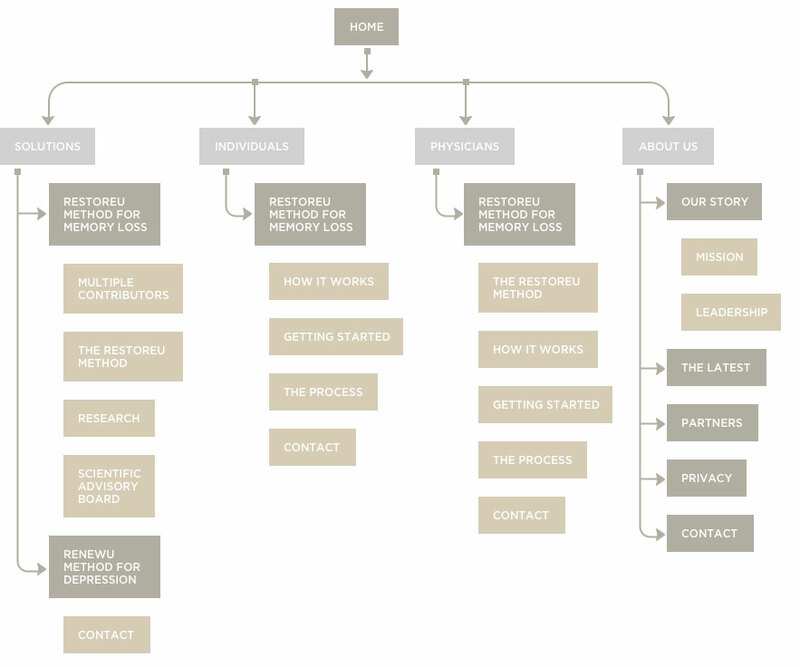 uMETHOD’s updated brand system was deployed across multiple touch-points. With a new website to increase awareness and online presence, uMETHOD has been able to direct prospective partners to the right information and drive audiences to connect with their brand on a more detailed level. Our work in enhancing the brand and developing the website has increased uMETHOD’s brand equity and enabled them to cement their marketing position as a reliable path for precision medicine treatment.